The NoCo Hemp Expo celebrated its 4th annual event in Loveland, Colorado March 30-April 1. Industry Experts, business leaders, lawyers, farmers, activists, and consumers filled NoCo to view the 500 exhibitors products as well as listen to the first hand experiences of people leading the American Hemp Industry. Hempstead Project Heart brought two young college students from the Oneida and Bad River Chippewa tribes in Wisconsin to the expo to learn more about Industrial Hemp and build their networks. Lucas Humblet from Oneida and Meg Forica from Bad River Chippewa seeked out Hempstead Project Heart in the winter of 2016 to learn more about hemp and how it could rebuild tribal economies. Our Campaign Manager, Marcus Grignon, took their interest and cultivated it. 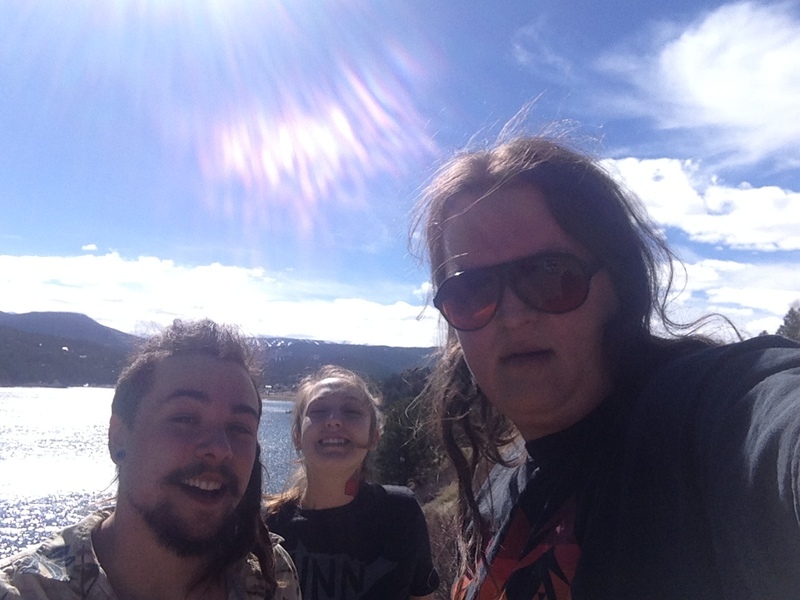 While in Colorado, Hempstead Project had a retreat in the mountains after NoCo to decompress about what the group learned and how the organization should move forward in engaging the tribal nations in Wisconsin. During the retreat, Marcus, Lucas, and Meg decided the organization needed a mentorship program to build individuals into Inustrial Hemp advocates and experts. Both Lucas and Meg felt the conference trips are beneficial for their own learning, but also building trust among each other in the organization. There were many experiences where the group's instinct was needed to make a democractic decision on how they move forward. A cohort was beginning to blossom between Marcus, Lucas, and Meg. On the last two days of the Colorado trip, Marcus, Lucas, and Meg were invited to the Fat Pigs Society Cooperative by Hempstead Project Heart's Adviser Doug Fine to learn more from hemp cultivation experts: Bill Atlhouse, Iginia Boccalandro. The group had dinner together and talked about Industrial Hemp in Indian Country. One member of the Fat Pigs Society Cooperative is from the San Felipe Pueblo in New Mexico and was excited to meet other tribal members from the Midwest who had the same vision as he did. On the last day with the Fat Pigs Society Cooperative, Marcus, Lucas, and Meg had the opportunity to help propogate hemp plants for the upcoming 2017 growing season. Excitement ran through the group's bodies at the chance to learn first hand hemp greenhouse work. At lunch time, Marcus, Lucas, and Meg parted ways with the Fat Pigs Society to make their way to the airport. The plane ride was short and as they exited the plane, Meg says, "We make a great traveling team, guys." To which Marcus replied, "We do make a great cooperative. That's it! We are the Midwest Hemp Cooperative." And so the Midwest Hemp Cooperative was born.